Don't delay.. Call or click below to set up an appointment today. Your journey to wellness begins today. Call or click below to set up an appointment today. On behalf of our Calhoun chiropractor and holistic healing team, we're delighted to greet you and welcome you to McCracken Chiropractic in Calhoun GA. Whether you're seeking personal injury relief, auto accident injury treatment, or just a healthier and more comfortable life for every member of your family, we have the skills, technologies, and personalized approach to make it happen. We hope you'll take a moment to look through this website and see just how qualified we are to help you achieve your health and wellness goals. We also hope you'll take the natural next step by contacting us to schedule a visit! Our Calhoun chiropractor, Dr. Chris McCracken, enjoys serving as area residents' choice for preventative wellness care, injury rehabilitation, pain management, and other forms of primary care. Dr. McCracken's "whole person" approach treats the entire body and its underlying health challenges instead of merely numbing the most obvious symptoms of a problem. This means you can enjoy real, lasting relief that actually benefits your overall health and function in a number of ways. Once Dr. McCracken identifies those underlying issues, he is able to provide you with your own individualized treatment program that addresses your specific needs and goals. You'll be happy you made him your family's trusted health advisor! 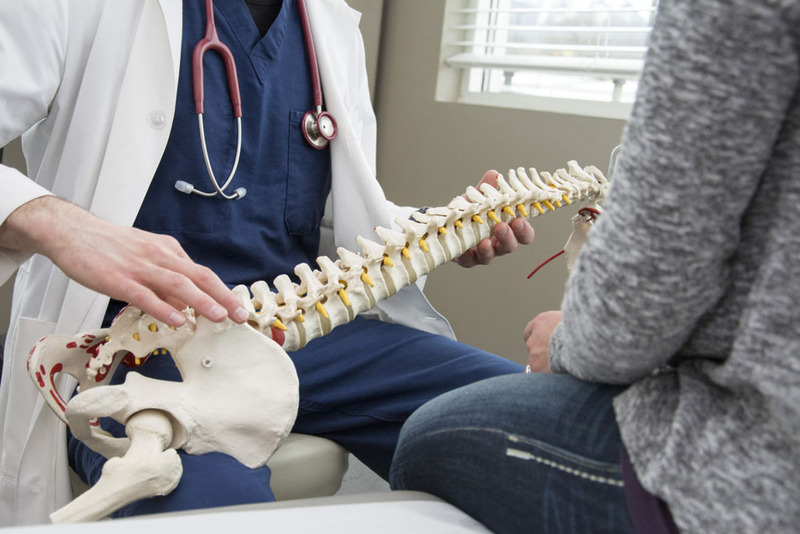 Chiropractic care - As the hub of our whole-person approach, chiropractic care offers benefits for every part of the body. Our adjustments can normalize joint function, ease the musculoskeletal pain, and allow your nervous system to regulate your body's countless processes as it should. Corrective exercises - Corrective exercises can play a crucial role in your personal injury or auto accident injury treatment. They can also help you recuperate from a debilitating disorder and facilitate healthier posture. Lifestyle advice - A great life hinges on a healthy lifestyle. We can help you understand what changes you may need to make to adopt best practices for a lifetime of health. Spinal and postural screenings - We're happy to provide spinal and postural screenings to catch problems in kids or adults. We can even arrange to visit your school or workplace. Make an Appointment Today! Contact McCracken Chiropractic in Calhoun, GA! Our holistic healing center is waiting to greet you in person. Call 706-624-0200 to schedule your initial appointment! Chris McCracken is a Calhoun chiropractor who serves Calhoun and the surrounding communities in GA .